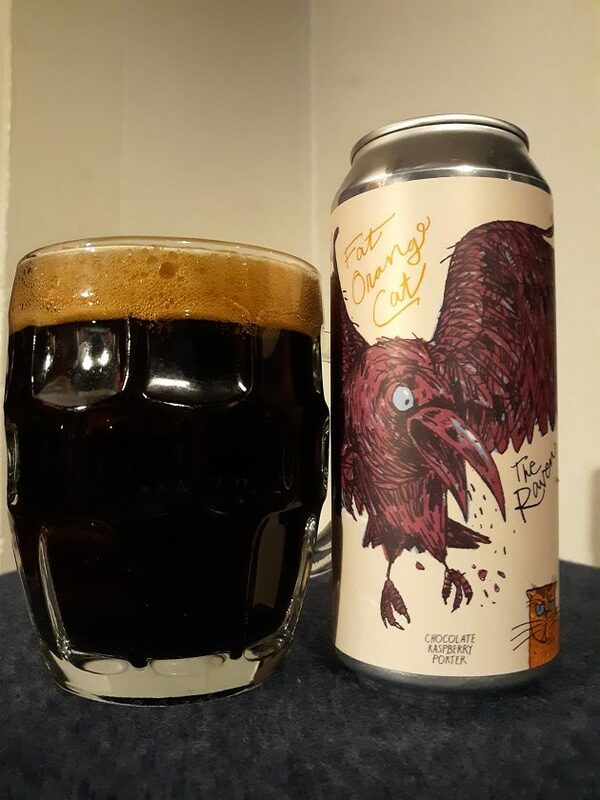 It’s impossible to pick up a can of The Raven – a chocolate raspberry porter by the Fat Orange Cat Brew Company of East Hampton, Connecticut – and not think of that most famous supernatural poem by Edgar Allan Poe. Perhaps this isn’t the allusion that the brewery had in mind and – truth be told – there’s nothing else about the beer or its packaging to suggest that it is. But this beer is The Raven – not Raven, or A Raven, or Ravens. The tell-tale definite article brings Poe to mind whether we like it or not. Poe and his poetry usually crop up in the popular consciousness around Hallowe’en, and rightfully so. 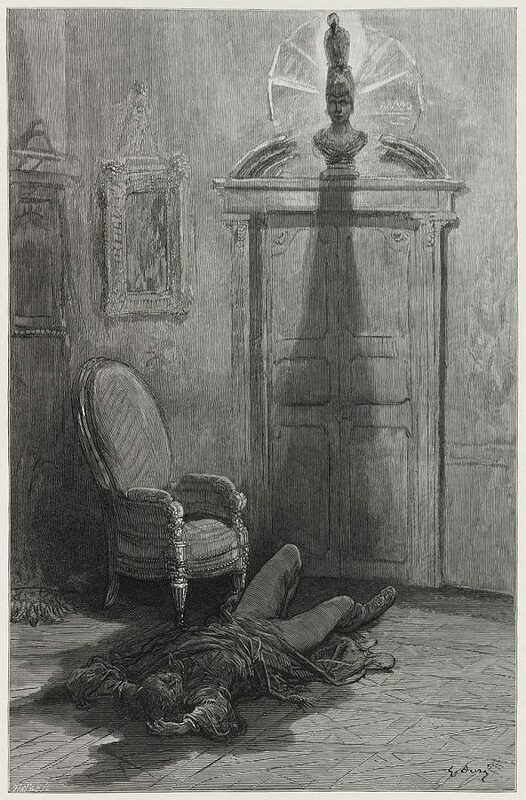 But old Edgar Allan was born in January of 1809 – his birthday is in fact tomorrow, on the 19th – and The Raven was first published in this month as well, in 1845. Even without such anniversaries falling on this month, The Raven makes a fine and dark midwinter sipper for dreary January. Looks like someone’s had a bit too much of The Raven tonight. Of course, there is a raven on the can: a big, bedraggled bird rendered in dark purple rather than the usual black, with an alarmingly large, pale blue eye (another Poe reference?). 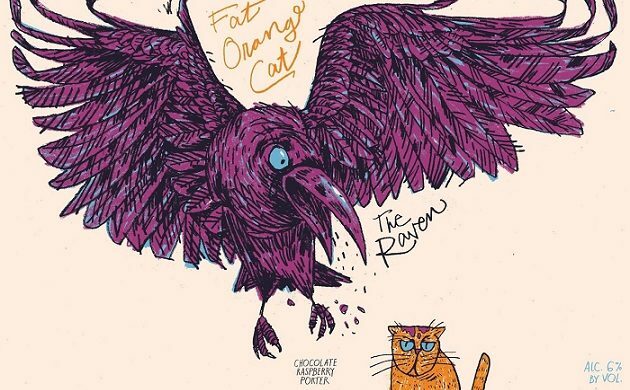 This raven – The Raven – is menacingly hovering over an indifferent-looking orange cat named Billy who’s the mascot for this brewery. Fruit is added in darker beer styles less often than in light, summery ones, as brewers prefer to complement the rich, roasted flavors of a porter or stout with coffee, chocolate, milk sugars, baking spices, and other sympathetic ingredients. But chocolate and raspberries are such a winning pairing outside of beer that it only makes sense for them to meet in the brewery as well. There’s little hint of the bright, tart fruit in the nose of The Raven, which is dominated by bitter chocolate and mocha. But a tantalizing raspberry tang shines through this dark malt background in the very first sip, with the blend playfully recalling jelly doughnuts and chocolate syrup. The Raven finishes as most porters do, with a long and dry roasted coffee bitterness, but there’s a fleeting hint of fruit in the end as well. Three out of five feathers (Good). Do You Like 10,000 Birds On Facebook?